DREAM MADE POSSIBLE. Your wedding day is what you make of it. So let’s make magic together. 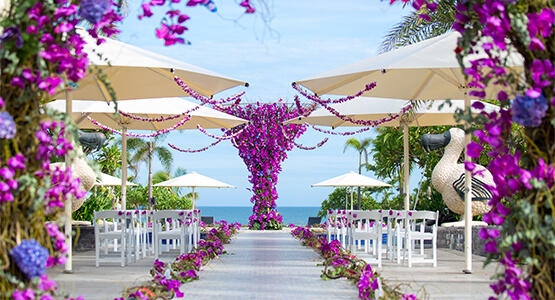 Our expert wedding planner can help select everything from the décor and delectable menu to spa treatments. Challenge us to create the wedding of your dreams, we will go to any length to guarantee your happiness on this most important of all days. As for your guests, MGM Grand Sanya’s “Energy, Entertainment, Excitement” also guarantee countless ways to entertain loved ones before and after the big event. All this in an atmosphere of personalized luxury and elegance, where dreams come true. Glam at its best with our pillar less and high tech digital system ballroom, making it the perfect venue for both Chinese and Western style weddings. All eyes on you when you walk down the red carpet aisles. MGM's perfect lawn represents romance, infinite ocean view hugs the blue sky, together with the warm breezing brings hope and love. 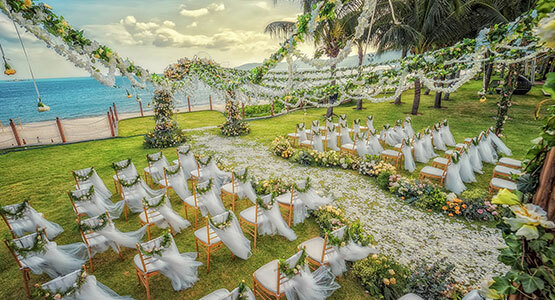 The open lawn space allows creativity to the wedding of your dream. 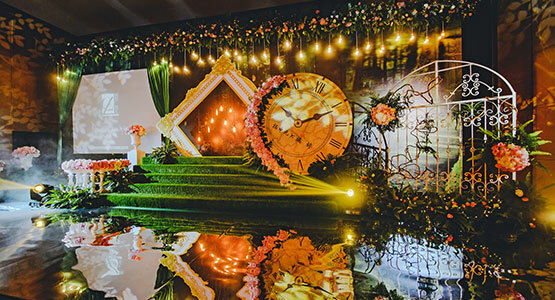 Romantic rose paddles and elegant decors making your dream wedding come true. 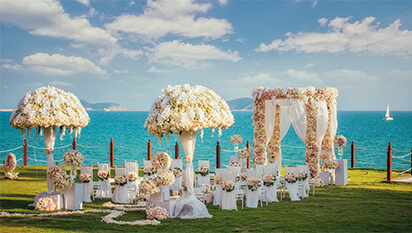 Let the crystal clear ocean and soft golden sands blend with romance and love. 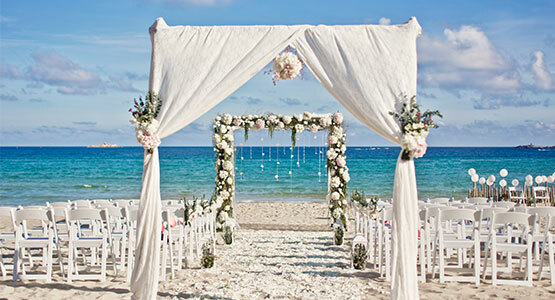 Dress in the most beautiful wedding gown and say your vows on the soft sands of Yalong Bay, creating the perfect picture with the love of your life. Lavish Poolside Wedding with a touch of Hollywood glam and MGM's unique entertainment DNA. Showcasing the most important day of your life to family and friends in style.